Onboarding for newcomers and reference for everyone! Working groups include library directors and library staff as needed for their expertise and insight to drive not only conversation but activities. Working groups work in between meetings to ensure progress is made, and submit written updates to the Executive Committee to be included as part of the Directors' Council consent agenda. Working groups may meet and/or collaborate with other working groups on Directors Council meeting dates as necessary. Objective: Evaluate OPAL programs, projects, and activities. Objective: Maintain website content and create digital/print collateral and promotional items to tell our story.  Objective: Cultivate relationships with all Ohio private academic libraries, maintain existing relationships, and identify other library organizations to partner with to achieve common goals. Objective: Encourage sharing of library staff time and/or expertise.